Steve, Think Save RetireSteve and his wife saved 70% of their income when they worked full-time. Steve is a blogger at ThinkSaveRetire.com. He and his wife retired from full-time work at 35 and 33. 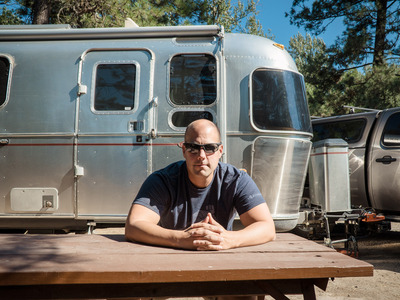 They live in a 200-square-foot Airstream trailer and travel throughout America full-time. 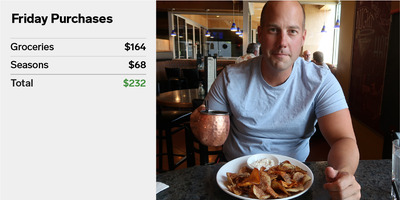 For Business Insider’s “Real Money” series, Steve shares how he spent his money during a week in July. There once was a guy from the Southeast who thought life could be broken down into a few simple constructs: get a job, buy stuff, retire, and die. Yep, that guy was me. Early retirement? Not in the cards. 401(k) retirement plan? Sure, but only the minimum. Retirement was the furthest thing from my mind. After all, I had stuff to pay for! 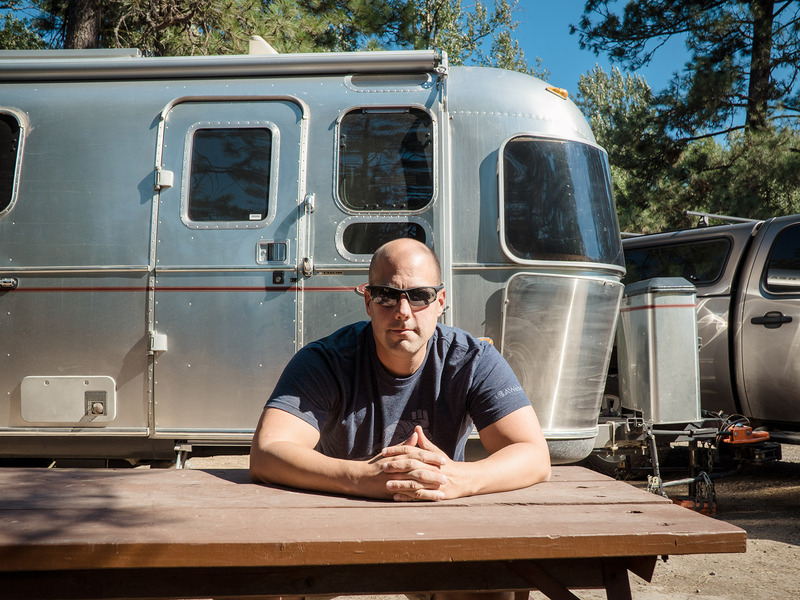 Fast forward about 15 years, and I’m sitting here in our Airstream RV as a 37-year-old early retiree after spending more than a decade working in information technology. 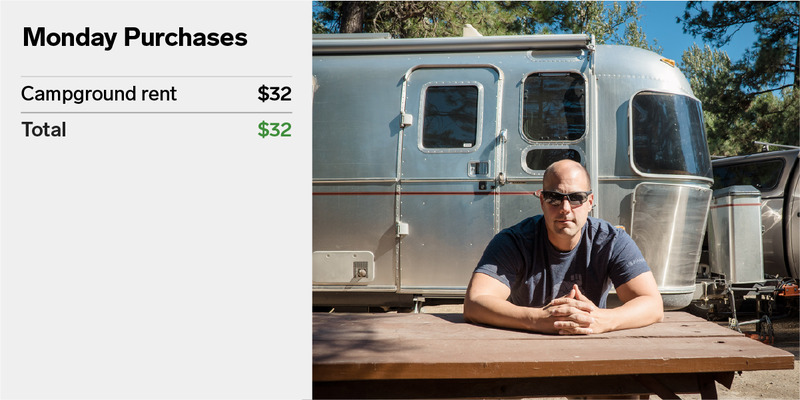 In 2015, we sold almost all of our possessions, including our two homes, and bought a 200-square-foot Airstream travel trailer and we travel the country full-time. We call places like Tucson home in the winter, Glacier National Park home in the summer, and are limited by nothing in our travels. We follow the weather the best we can. My wife and I run a YouTube channel that chronicles our travels in detail and I’m an avid photographer. I get to embrace the creative side of me that I pushed down and ignored through all those years of working full-time in corporate America. Both my wife and I were born into loving and supportive families, which has been a huge help in getting to where we are today. We don’t represent your typical “rags-to-riches” story. Both of our parents, however, came from very modest backgrounds. My dad worked his way up through the military by earning two master’s degrees and joining the private sector in the 90s. He’s one of the hardest workers I’ve ever met. My wife’s family went through bankruptcy when she was younger. Her dad spent several years working overseas to build his family back up from disaster to achieve remarkable success through incredibly hard work, sacrifice, and determination. We’ve both seen first hand how truly life-changing hard work can be. We are firmly in the LeanFIRE camp of early retirement. We called it quits from full-time work with just under $US900,000 mixed between our long-term investment accounts and short-term savings and checking accounts. Today, we’re hovering around the $US1 million mark and enjoy every day as full-time travellers.Not to mention full-time side hustlers, too. 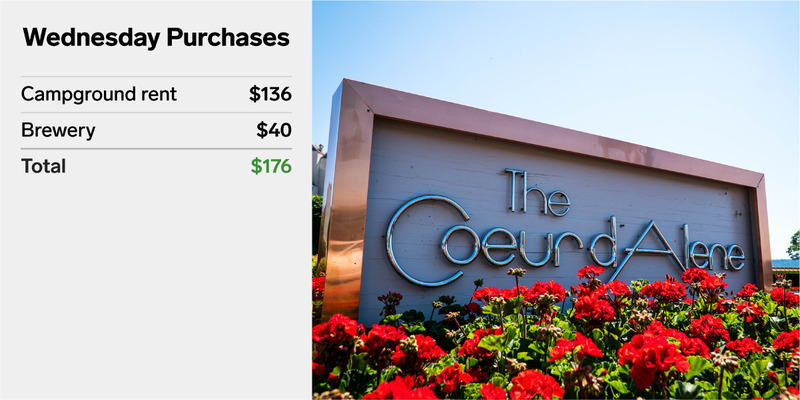 Here’s a look at our monthly spending, which totals about $US3,465. We don’t pay property taxes, since we live in our Airstream. Our biggest “expense” is discretionary spending, which we can cut back on if needed. My wife and I worked relatively high-paying jobs when we both worked full-time. We saved 70% of our salaries for several years, which added up extremely quickly. We canceled any services that weren’t absolutely critical (like cable television and magazines). We rarely went out to eat. In other words, financial independence and early retirement was the most important element in our lives. That became the overarching priority. Without a stationary house, we don’t pay personal property taxes. Our utilities are streamlined down to the very minimum and we have the ability to live for extended periods of time “off grid” by utilising our solar power system on top of our Airstream. The most common question that we get asked: What do you do about healthcare? My wife and I are in the unique position of being happy and healthy. Though healthcare is easily the most costly expense for most retirees, it’s not for us because we’ve chosen Liberty Health Share instead of traditional health coverage. The idea behind health shares revolves around healthy people who lead relatively healthy lives. No smoking. No excessive drinking. Costs are shared among the members of the health share, but due to the healthy lifestyles of its members, costs remain quite low. We pay $US299 a month for both my wife and me, combined, plus about $US50 for over-the-counter supplies. Our fun (discretionary) money represents our largest expense category. But, that also means we have about $US1,000 that we could easily cut back on if we need to. We are enjoying things now that the market is doing well, but we know that it won’t always be that way. The only consistent expenses that we have are health coverage costs, fuel for our truck and of course, food. We need to eat. We also spend a few hundred dollars on campground fees, depending on the month. Here’s what our spending looked like during a week in July. Summer tends to be our most expensive months because of our need for air conditioning to escape the heat. If this were the winter, our campground costs get reduced due to our ability to live off grid for weeks at a time. Gotta love free camping! My favourite thing to spend money on? Visiting a brewery wherever we happen to be and sampling the local beer. 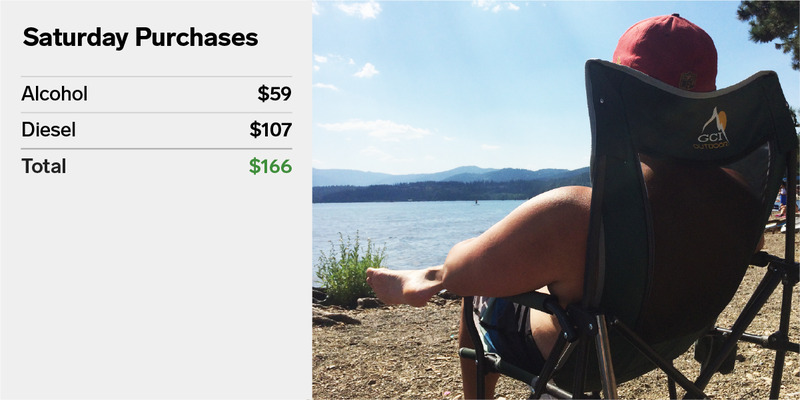 On Monday, we started our weekslong drive to Seattle, spending just $US32 on a campsite for the night. We packed up and left a VRBO house that my in-laws rented outside of Glacier National Park and travelled west. We are on our way to Seattle, but we’re taking a couple weeks to get there. Our first stop was to a small campground in a town called St. Regis in western Montana. In such small towns, the roads are generally clear – especially mid-morning on a Monday. Hot, though. We rolled out of bed around 7 a.m., spent some closing moments with family in the VRBO house and set sail. 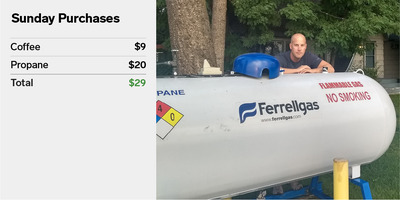 Aside from the diesel fuel to get there, expenses today were incredibly low. We only paid for the campground, which was $US31.64 for one night. That includes the electric hookup, which was nice because we needed to run our air conditioner due to the heat. In fact, that’s one of the advantages of camping in a campground – once you pay the nightly fee, it doesn’t matter how much water or electricity you use. It’s all included in the nightly cost. 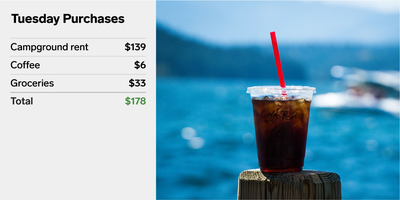 On Tuesday we made it to Coeur d’Alene, Idaho, where we spent $US6 on celebratory coffee and $US139 at the RV park. Onward toward the toughest-to-spell city in the nation: Coeur d’Alene, Idaho. This is a special place. We visited Coeur d’Alene in 2015 before we quit our jobs, and I remember ducking into a local coffee shop (Calypsos) for a cup of Joe. We talked about our future plans as early retirees as we walked around Lake Coeur d’Alene, and one of our primary goals was to come right back here after early retirement – the same coffee shop – and talk about how closely we met those original goals. And, we made it back. It was a special moment! The coffee (for me) and tea (for my wife) totaled $US6.16 – a small price to pay to accomplish one of our long-standing goals. We also hit the local Safeway in town and plopped down $US32.91 for mainly produce to get us through the next couple of days. Also, we paid a total RV park fee of $US139.32 to stay a total of three nights. We had full hookups at this site, which included electricity, water, and sewer. We were livin’ large! 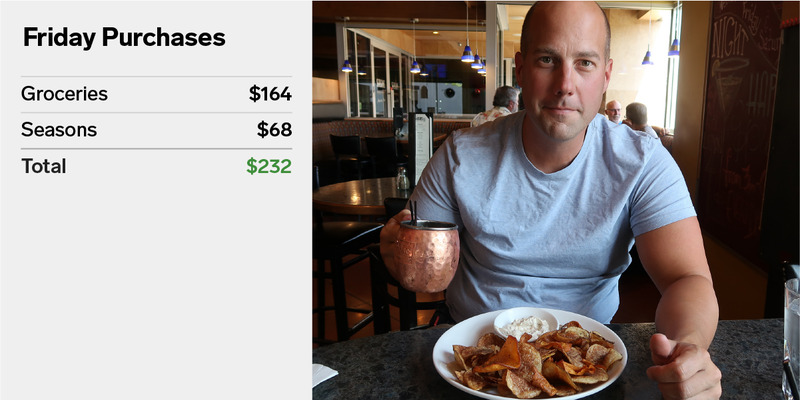 We extended our stay in Coeur d’Alene on Wednesday and spent $US40 on lunch at a local brewery. This morning, both my wife and I decided that we love Coeur d’Alene so much that we’re going to stay here another three nights and delay our trip west toward Spokane. Spokane is a nice city, but it’s tough to beat summer in northern Idaho. We plunked down another $US136.08 to extend our stay here at the campground. That afternoon, we had lunch with a couple who follow us on YouTube, which is always super enjoyable. Of course, we chose a brewery, Daft Badger, as the sight of our meetup – lunch and brewskies and conversation mid-day on a Wednesday. This experience set us back $US40. While our budget doesn’t allow us to do this every day, it’s nice to get out and do things like that. And with our YouTube viewers, it’s always a unique situation because they know almost everything about us (we’re open books), but we know absolutely nothing about them! 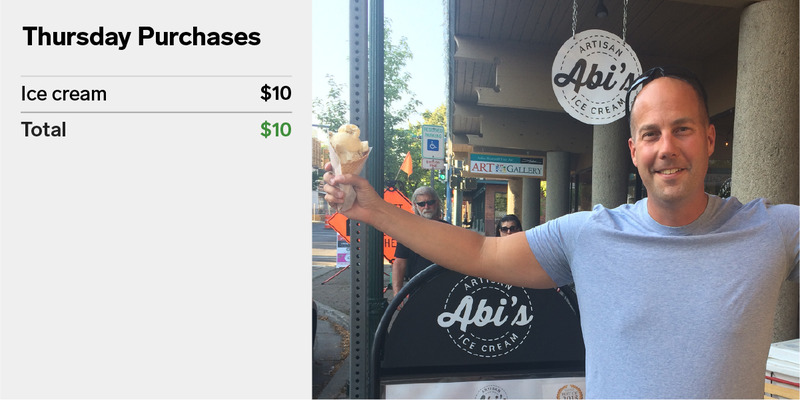 On Thursday, a day trip to Spokane, Washington, a visit to Planet Fitness, and a $US10 ice cream stop. Today we took a day-trip out to Spokane, Washington, to hit the gym and drop off my camera for some unfortunate repairs. Luckily for us, Spokane is about a 30-minute drive west and easily accessible from most places in northern Idaho. It also has the gym that I’m a member of. Pro tip: If you’re full-time travellers like us, find an inexpensive nationwide gym. This way, you can not only work out all over the country, but the gym will probably have shower facilities too that you can use. Our Airstream RV does have a shower, but we always like to use “real” showers whenever possible because they are much bigger. We pay about $US22 a month for both my wife and me at Planet Fitness (not including both an initiation fee as well as a yearly fee!). Oh, about my camera: The diopter stopped working. We’ll have to see what this will cost us once the technician takes a look. We got some ice cream in town to cool off on one of those rare 92-degree days in upstate Idaho at a local ice cream joint called Abi’s. If you’re wondering, I had a scoop of coffee toffee and a scoop of cookie dough in a waffle cone. My wife tried the mango-cilantro sorbet. Today, that refreshing treat set us back almost $US10. On Friday, a bike ride around the lake, a stop a Safeway, and happy hour. Today, we had to move campsites, but we stayed in the same campground. The move took about an hour in total, but only 15 minutes of running the truck. Not a lot of diesel was burned for our 100-yard trip from site E3 down to E10. In the afternoon, we threw the bikes on the truck and took a bike ride around the lake and through a bit of the city of Coeur d’Alene. Aside from the diesel we used to get down to the lake spot, we spent absolutely zero dollars on our bike trip. Along the way, we got to observe families enjoying their vacations by the water. Magical! On the way back, we stopped by the grocery store and dropped a little over $US163 on groceries for the next week and a half. As full-time travellers, we are at the mercy of whatever we can find at the time (and as a result, pay the price for those things). While this shop wasn’t too bad, some smaller towns charge double for fresh produce. Later, we enjoyed a happy hour in town, which included a couple drinks for both of us, a salad and a bowl of fresh clams for $US68.19, with tip. We don’t do this too often, but when we do, we like to do it right. Happy hour ensures delicious food and beverages and a nice date night, all for reduced prices. Can’t beat that! On Saturday, we spent $US107 for a huge diesel fill-up and $US59 at the liquor store. Naturally, we started the day by going to the gym. And, it’s the weekend! We generally don’t enjoy going out on the weekends because, well, that’s when everybody else is out as well. But, we needed a few essential supplies, like filling up our diesel truck with more fuel and, of course, a stop at the liquor store. We were almost on empty in the truck, so it took a whopping $US107 in gas. It’s a 35-gallon tank, so when it’s almost empty, it’s a high-priced feeding for the truck. Luckily, the Costco in Coeur d’Alene had diesel, so we were able to get it for $US3.26 a gallon. After dropping by the liquor store, we headed straight to the lake to cool off on yet another day in the low 90s. The average high temperature in this area is in the mid 80s, and it’s been easily hotter than that this entire week. A couple of hours swimming in the lake and chillin’ on the beach, and we were out exactly zero dollars. Free fun. And, lots of it. Since it was a weekend, the beach was packed with tourists doing the same thing. On Sunday, our last day in Coeur d’Alene, we spent about $US9 on coffee and $US20 to fill up the propane tank. We skipped the gym today. Instead, we enjoyed more time in the city on our last day in northern Idaho for a while. We did fill up one of our propane tanks, which set us back a little less than $US20. Not bad for nearly a month of use! We use propane for cooking, heating, and running our fridge when we are not hooked up to electric. Then, I had to get one more cup of cold brew (and my wife a tea) at Calypsos – you know, for old time sake. That was $US9.53 well spent. To round out the evening before dinner, we sat on some rocks right before sunset and enjoyed one last view of the lake before heading back to our campsite to whip up some shrimp tacos for dinner.